Every experienced blogger will tell you one of the most important things you can do when you start your blog is to build an email list. Building an email list is one of those details that most new bloggers don’t think about, but I believe it’s just as important as building your blog. Actually, building an email list is probably even more important than starting a blog! So why is it so important to start building an email list? Isn’t starting a great blog enough?. 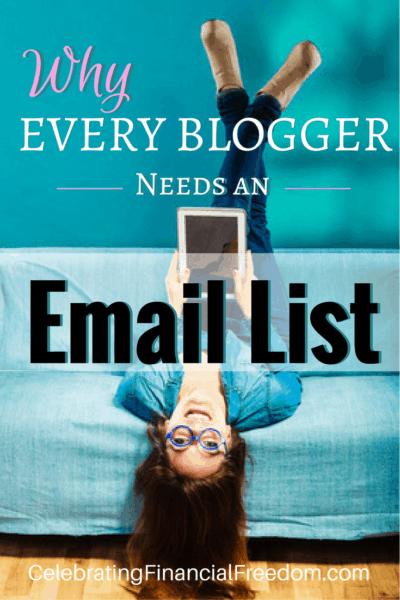 Every blogger needs an email list because readers don’t stick around on your blog that long. Even if they like your blog they usually won’t come back that often unless they have a good reason. Building an email list is important because it gives you permission to contact people on a regular basis. In fact, many marketing gurus call marketing via email permission marketing because your reader has to give you permission (opt in) to send them emails. Starting an email list is an incredibly important part of starting a blog. This is because they work together synergistically to create traffic to your blog, revenue, and a connection to your readers that you can’t get with just having a blog. Members of your email list are more likely to read your content. As an incentive to sign up for your email list, you can promise to give your readers additional valuable content that doesn’t appear on your blog. 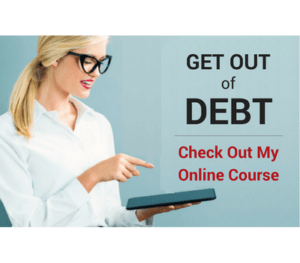 A free mini course series of emails. Blog post type emails covering a very specific subject that is only available to subscribers. Extra tips and tricks to help your readers accomplish something they're interested in. Giving your readers extra content goes a long way toward keeping readers engaged with your content and your brand. It also makes them more receptive when you decide you want to sell them something. One of the most powerful mantras about building an email list is the phrase “the money is in the list”. An email newsletter is by far the best way to monetize your new blog. You can use it to promote affiliate products, sell your own products, or both. When you have the attention of someone who is willing to sign up for your list, they want to hear what you have to say. Therefore, they’re much more likely to buy something you recommend. Your email list works in concert with your blog content to amplify your offers, allowing you to make a lot more money in the process. Who is more likely to click over to your blog to read an article? Someone who has seen your blog before and decided today is a good day to come back and read one of your articles? Or someone who got an email from you with a link to one (or more) of your articles? Hint: It’s definitely the person who you sent the email to. Even though not everybody is going to open your email, your email subscribers are more likely to click over to your site than someone with a random notion to go to your site. When you’re out of site, you’re out of mind. Getting an email from you is a good reminder to your reader that you have something interesting to show them. One huge advantage to building an email list is that you own it. Unlike Facebook followers, Pinterest followers, and other social media fans, you own your email list and have complete control over who you send your emails to. With social media sites, an algorithm determines who sees your content and who doesn’t. Although social media is valuable, you have little or no control of how your content is seen and distributed. I’ve heard social media compared to building a house on rented land. With an email list you have total control over who gets your content and what content they see. Interactions with your readers can be much more personal, allowing you to form more intimate connections than you ever could via social media. When you try to engage people on social media, your post goes out to all your followers (if you’re lucky). It’s pretty much impossible to target a particular segment of your followers if you need to. When you build an email list, you can encourage readers to sign up for only what they are interested in. By having people sign up for the subject matter they’re interested in, you can do a much better job at delivering content and offers that fit exactly what they’re looking for. 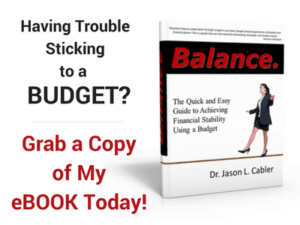 It’s a win-win for the reader and blog owner alike! There are quite a few email services out there you can use. I don’t recommend starting out paying big bucks for an email provider while you’re starting a new blog. It’s just not necessary when you’re getting started and have a small email list or no list at all. Get your feet wet first, then upgrade as your list grows. Two of the most popular email providers for beginners are Mailchimp and Aweber. The vast majority of bloggers I know got their start with one of these two email services. Personally, I recommend MailChimp simply because you can start for free and work your way up to a paid plan as your list grows. Mailchimp’s free plan lets you send up to 12,000 emails a month to as many as 2,000 susbcribers. When you’re starting out, Mailchimp has all the functionality you need to send high quality emails to your list with no cost involved. As your list grows and you get a little more sophisticated with your email marketing, you can upgrade to a paid plan with Mailchimp or another provider. With paid plans you’ll get more functionality and the ability to send a greater number of emails to a larger list. I’ve been with Mailchimp ever since I started my blog in 2011 and it still works great for my needs. I started with the free plan, then I upgraded to the paid plan a few years ago once my list grew big enough. By the way, I’m not making any money by recommending Mailchimp, I just believe their free plan is a great deal for beginning bloggers. Start an Email List Now! So have I convinced you to start an email list yet? 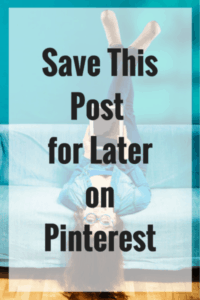 Yesterday was the best time to start an email list for your blog. Fortunately, the second best time is today! Go ahead and get started, it’s one important move for your blog you’ll be glad you did sooner rather than later! 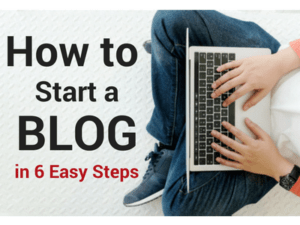 This post is part of my How to Start a Blog email free email course. If you're interested in blogging and would like to take the course you can sign up here or use the form below.